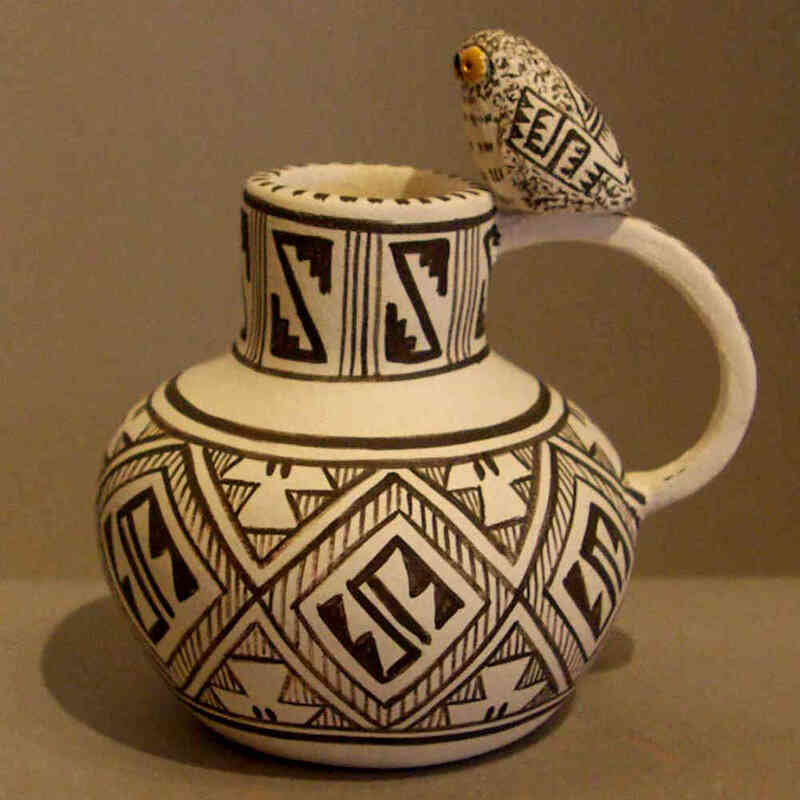 Kimo DeCora is an award-winning potter from Isleta Pueblo. 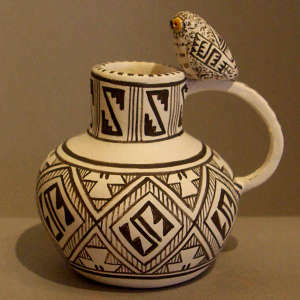 His heritage is 1/2 Isleta, 1/2 Wyandot. 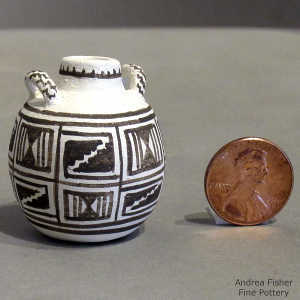 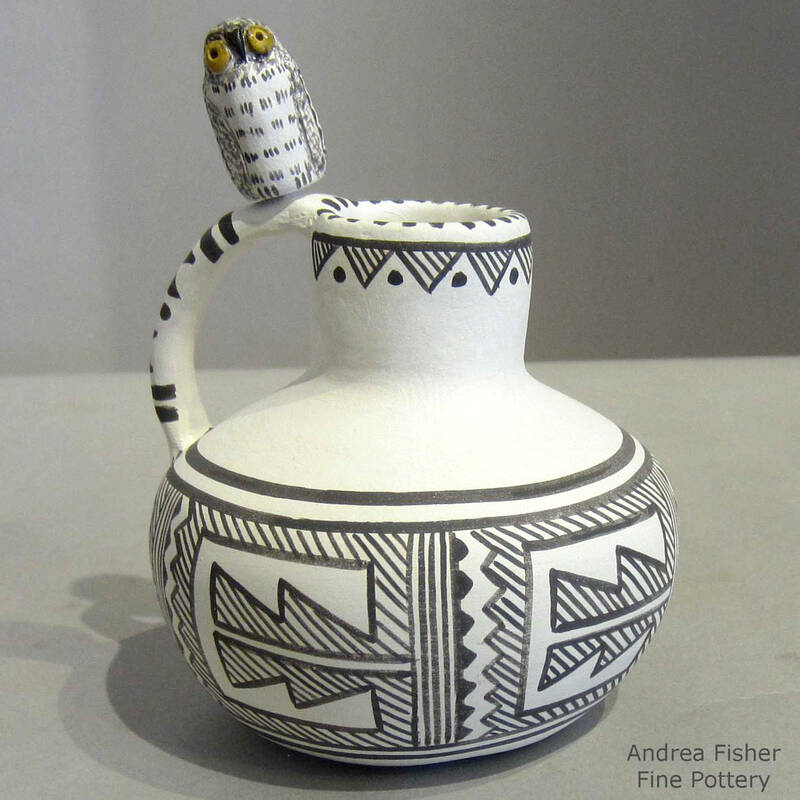 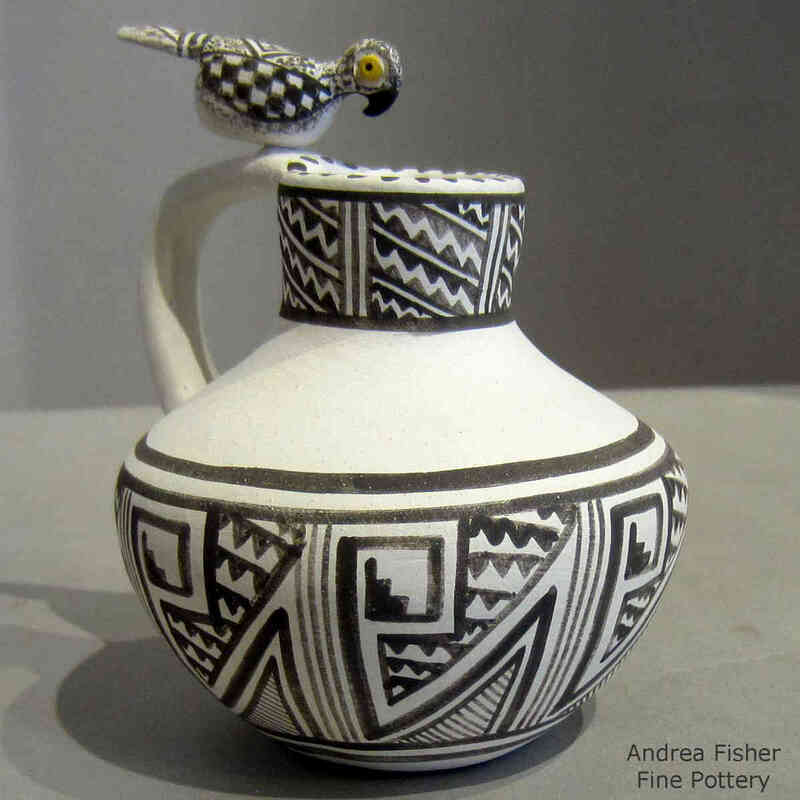 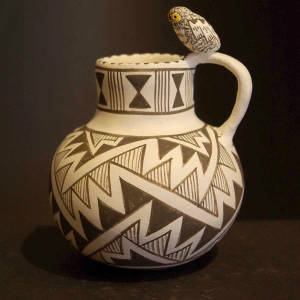 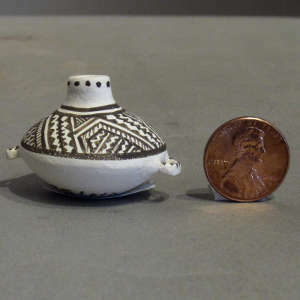 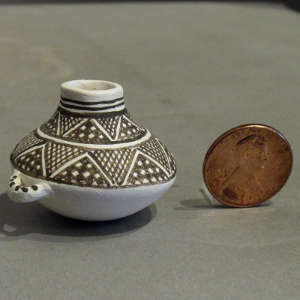 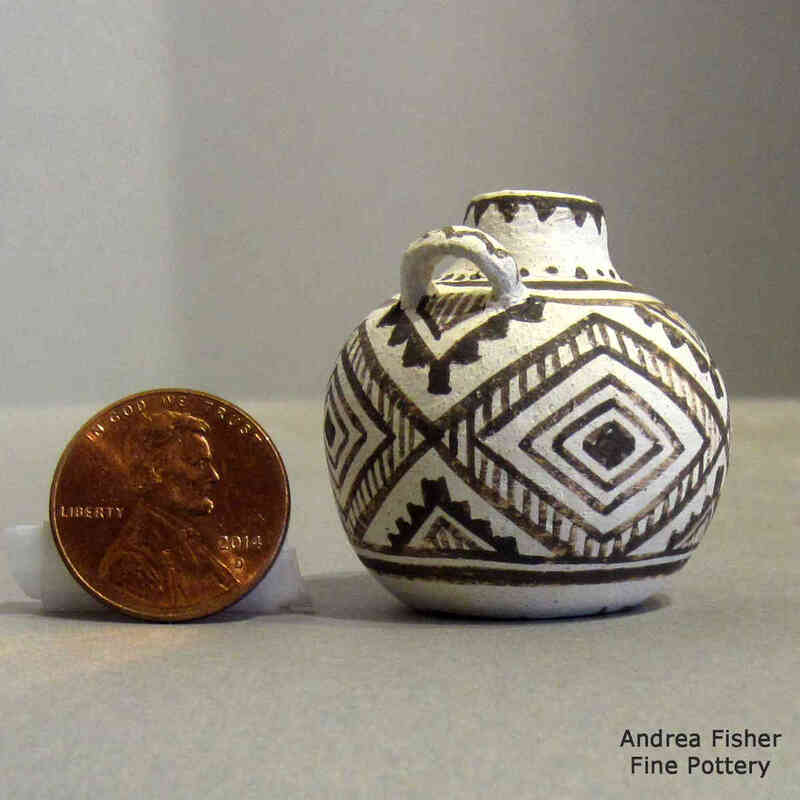 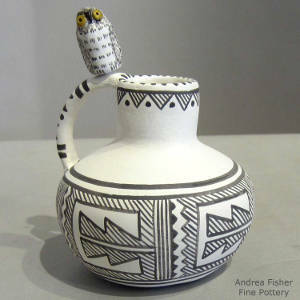 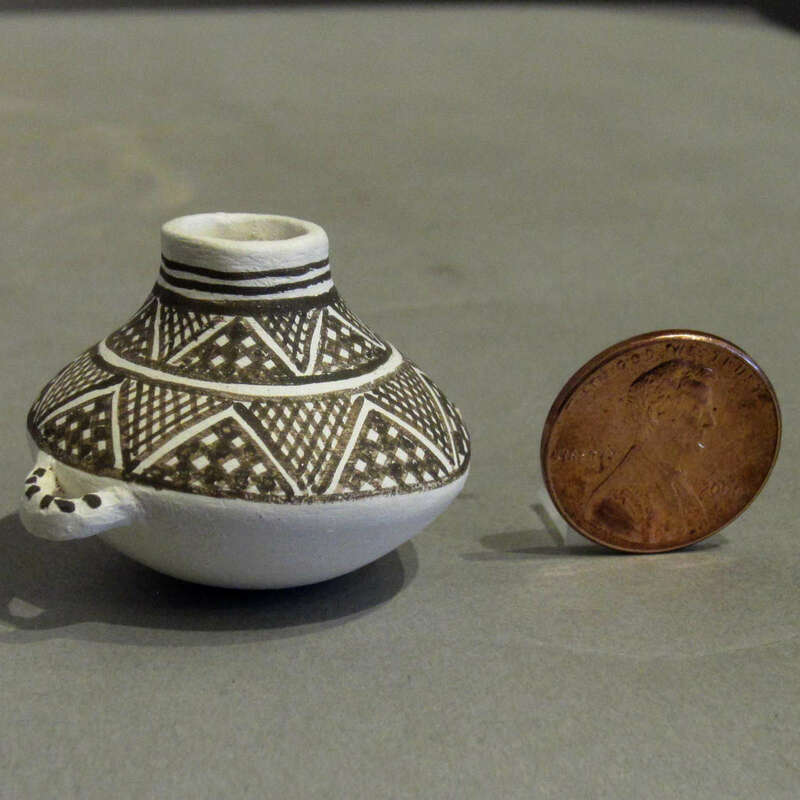 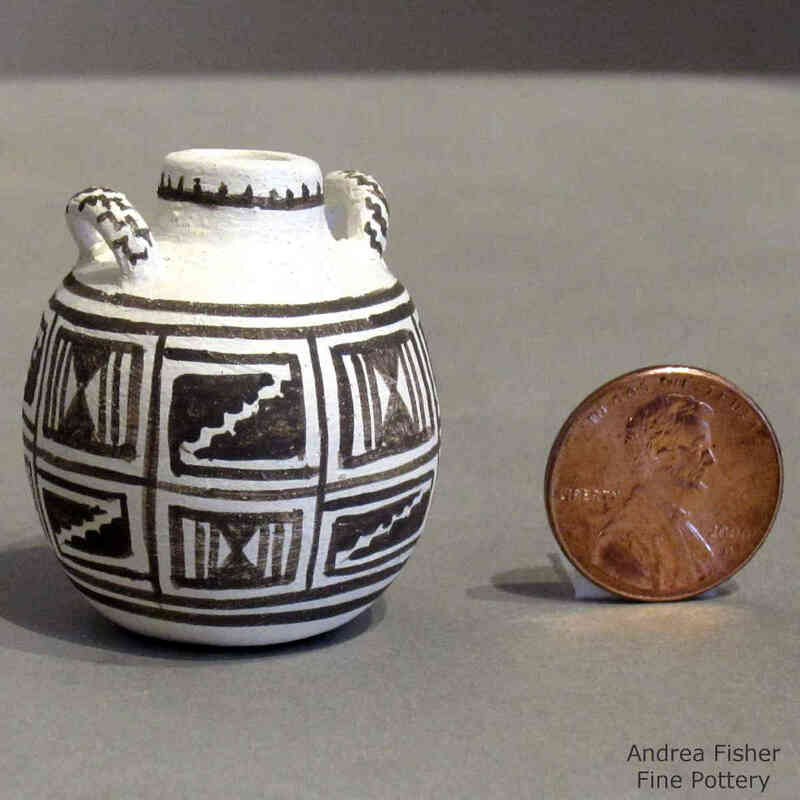 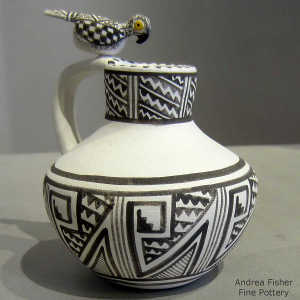 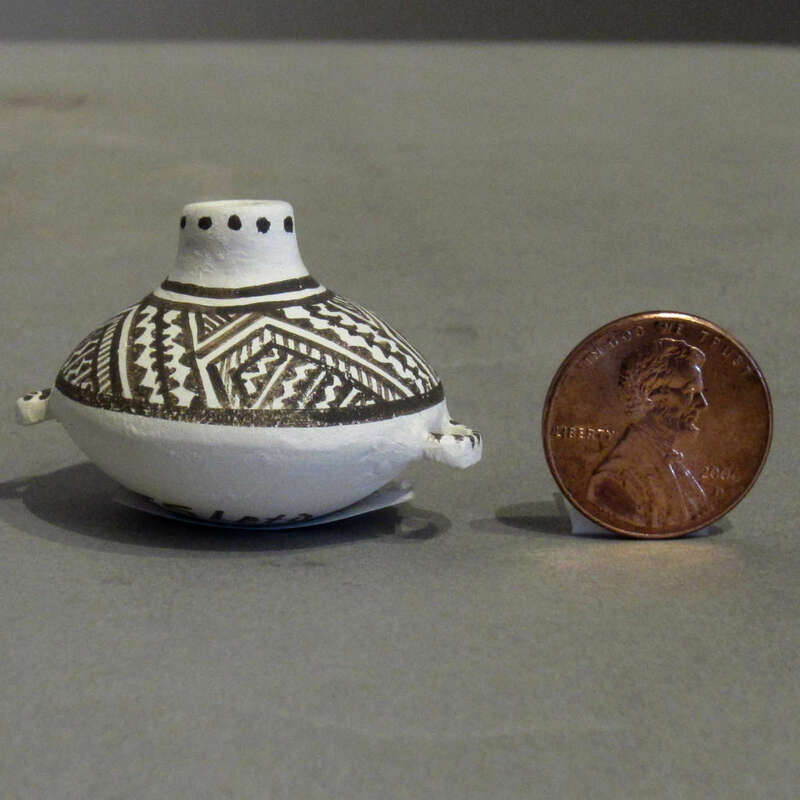 He specializes in delicate black on white miniature pieces, usually decorated with Mimbres-style designs.